Winner, the 2016 William A. Douglass Prize in Europeanist Anthropology. Bastards of Utopia, the companion to a feature documentary film of the same name, explores the experiences and political imagination of young radical activists in the former Yugoslavia, participants in what they call alterglobalization or "globalization from below." 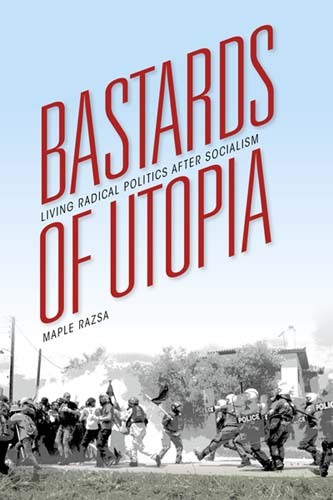 Ethnographer Maple Razsa follows individual activists from the transnational protests against globalization of the early 2000s through the Occupy encampments. His portrayal of activism is both empathetic and unflinching—an engaged, elegant meditation on the struggle to re-imagine leftist politics and the power of a country's youth. More information on the film can be found at www.der.org/films/bastards-of-utopia.html.